Google Analytics is a great tool and resource for any business. In this day and age, tracking your customers and potential clients online and analyzing traffic patterns through your site can prove to be a valuable technique that leads to a better understanding of how to appeal to customers. We’ve decided to host a four part series about Google Analytics to provide some additional insight for business owners and managers who are unfamiliar with the platform. This blog series will assume that your business has already set up Google Analytics for your website. If you haven’t already, you will need to complete the set-up process in order to view your site traffic. Stay tuned for more updates and read on to learn how to check your site traffic on Google Analytics. A simplified definition of “site traffic” is just “the people viewing your website”. Your site traffic can be made up of a bunch of different demographics that depend on gender, age, geographic location, interest, etc. and they can visit any page on your site at any time. Analyzing this data can give you an idea, for example, of what to post or when to post, based on the engagement and traffic flow patterns on your site. Seeing which pages are getting the most visits can signal to you which pages are most relevant and ranking the best based on what your potential customers are searching. If you sell women’s clothing and the majority of your site visits are landing on a page dedicated to professional clothing including skirts and blazers, it’s a good indication of the popularity of that product but also how well that page is optimized for that particular product. If your big ticket high-end sundresses, however, aren’t getting many page views, it’s a sign that potential customers aren’t finding that page listed in their search results when looking for a new sundress. This could be a sign that you need to better optimize that page to rank more successfully. You can also see how long people spend on each page and determine whether they left the site after visiting that page or whether they continued on to view other products and services. If you notice that the majority of site traffic only spends an average of 8 seconds on your site, then it might be an indication that the information and content on your website is unorganized or overwhelming. It’s not necessarily bad information, or irrelevant content, but by analyzing this average time spent on the page you can get a good understanding of how you can improve the website. You can also view something called the “bounce rate” that tells you the percentage of people who left the website after visiting the listed page. A high bounce rate might tell you that people aren’t finding the right information on your webpage or that they don’t have a clear idea of where to go on your site next. This can be rectified with some extra thought dedicated to the content of your website as well as some targeted and strategically-placed Calls to Action added around your site. 1 | Login to google.com/analytics. Navigate to your website’s folder and choose All Web Site Data. 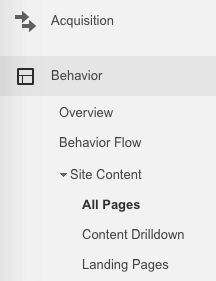 2 | Navigate to the left-hand sidebar and select Behavior, then Site Content, and finally All Pages. 3 | Across the top, you’ll see a graph depicting your site traffic over time. You can play around with the data by changing the time frame over which you view the site traffic. 4 | Below that graph, you’ll be able to view the top visited pages on your website, sortable by different categories that make up the column headers across the top of the table. Simply click on each of the headings to resort the data. We’ll outline the purpose behind a few of these headers below. Pageviews | This is the number of times each page was viewed by website traffic. Unique Pageviews | The number of times a page was viewed by a different site visitor. So, for example, if a potential customer navigated to your home page, and then from there clicked on your contact page, and then back to your home page, Google Analytics would record 2 pageviews for your home page but 1 unique pageview because it was the same person viewing both times. This is helpful in analyzing your actual website traffic, versus just how many pages on your site someone clicked around on. Average Time on Page | This number can be a good indicator of whether your content is confusing or hard to navigate. 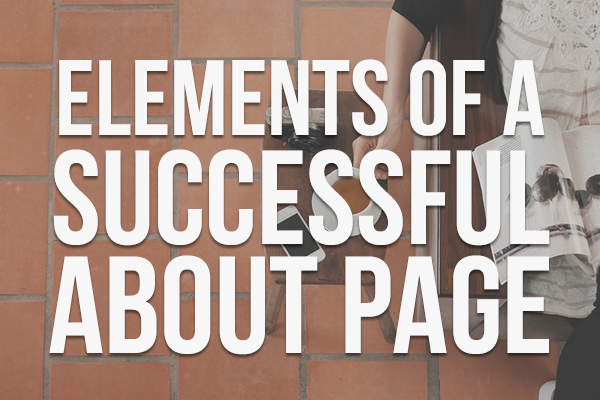 The less time a visitor spent on a particular page, the least helpful that page was in their search for information. If you compare blog posts where visitors are spending an average of 6 minutes on versus an average of 30 seconds, then you can most likely assume that the first blog post is getting read more thoroughly, and the second might be boring or unimportant to the site visitors’ search. Entrances | The number of people who entered your website using that particular page. This can be helpful in determining which pages are ranking best in search engine results and which pages you should spend some extra time on to give a better impression of your site to first-time visitors. Bounce Rate | The Bounce Rate is the percentage of page viewers who left your site immediately after viewing that page, either by closing their browser window or by navigating to a different site. This number could also include visitors using external links on your site, so if you notice that your Leave a Review page has a high Bounce Rate, that could be a good thing. It probably means that a lot of your website traffic is using your links and review buttons to navigate to your local listings to actually leave a review. However, if your home page has a low Average Time on Page, makes up the majority of Entrances, and has a high Bounce Rate, that could be a good indication that your home page is unappealing and uninformative in answering the searcher’s question. 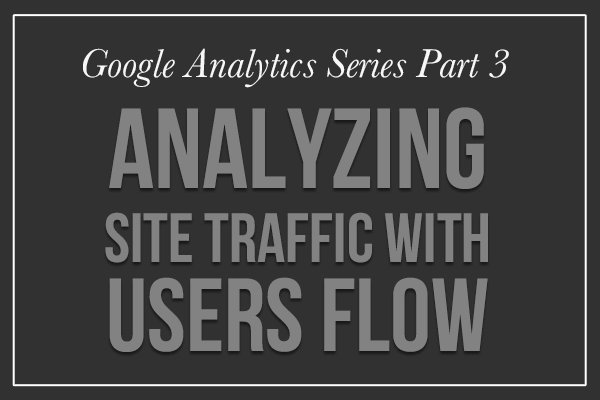 We hope this analysis of site traffic using Google Analytics was helpful for you. Remember to check back soon for more posts in our Google Analytics Series!